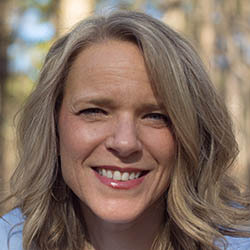 Julie is a dedicated educator who works as an Instructional Coach with the North Carolina Department of Public Instruction, supporting teachers and students in North Carolina schools. She has experience with instructional technology, curriculum design, school improvement planning, and comprehensive school review. Always interested in lifelong learning, she has a Master’s Degree in Instructional Technology from North Carolina State University as well as her National Board Certification. During the summer months of her teaching career, Julie served on mission trips overseas in Asia, Africa, and South America. But, it is Kenya, Africa, that continues to make a mark on her heart and draws her back. During her second service trip to Kenya with Freedom Global, she worked directly with Uhuru Girls’ Academy which included meeting with the director, principal, teachers and students and comprehensively assessing the needs of the school. She is honored to now serve on the board as the Educational Advisor to support the school’s development as well as the educational mission of Freedom Global. She believes that there is “nothing more inspiring than watching the vision of the academy come to life in our students as they become leaders, critical thinkers, and disciples for the glory of Christ.” When she’s not thinking about the schools in Kenya and North Carolina, she loves spending time with family and friends or enjoying the great outdoors on a hike, bike, or sailboat!